Ah, winter in the High Country. Frigid temps, short days, frozen rivers and a strong desire to hibernate through it all. 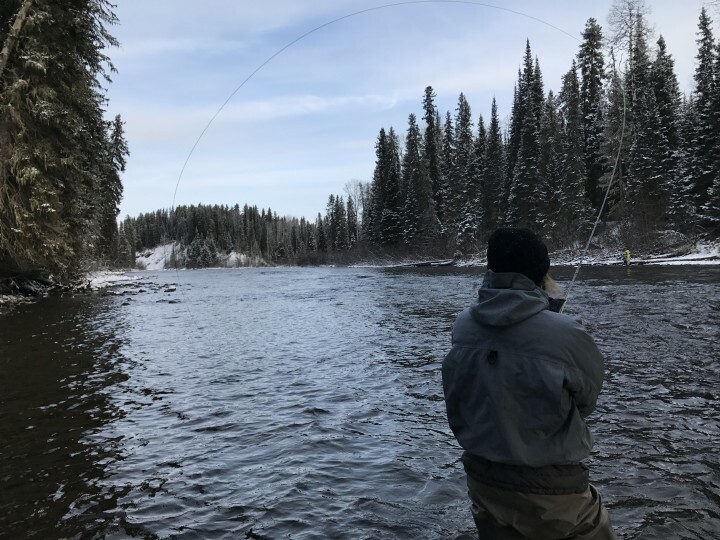 Although the diehard angler will still battle the ice and snow in order to land a few trout,* many spend their winter months tying flies, daydreaming about warmer weather or partaking in seasonal activities like skiing and snowboarding. In my opinion, this is the best time of year to read into and plan for your upcoming fishing adventures. Not only will you be more prepared by educating yourself early on but you will also have something amazing to look forward to. A light at the end of the tunnel, so to speak. Below, I have outlined several tips for researching your next fishing trip. Once you’ve made the important decision as to where you want to go, these guidelines will help refine and expedite your planning process. *Don’t get me wrong. Fly fishing in winter can be very rewarding. Fewer anglers on the water, hungry trout and tranquil surroundings are just a few of the benefits. Before you head out, get key information and insights by reading our blog on Winter Fly Fishing Tips here. You have your destination locked in and the dates marked off on your calendar. Now, the first question you need to ask yourself is “what type of trip will this be?” For simplicity’s sake, let’s say there are two categories. An all-inclusive, lodge or resort package trip. And on the other end of the spectrum, a do-it-yourself style adventure. If you opt for the former, you will still want to do some homework beforehand. But with many lodge style fishing trips, most of the accommodations and details have already been laid out for you. If you go with a DIY vacation, there is typically a lot more planning and research required both before and during your trip. Budget: Fishing lodges and resorts can run from posh to barebones. And their amenities will be reflected in their costs. Figure out your priorities and weigh the benefits against the pricetag. Most DIY trips can be low budget. But you may sacrifice things like proximity to the water and direct expert advice (ie guides). Time: If you plan to DIY, make sure you’ve allotted enough time to scout new fishing spots while leaving room for travel in between. A major advantage of resort fishing trips is that everything is at your fingertips. Gear, guides, meals, transportation and fisheries are usually just steps away from your bed. Hybrid trips: This may be the best option. Spend a few days at a lodge getting the local techniques and gear dialed in. Then, finish your trip exploring the area on your own. Or start your DIY vacation by hiring a guide for a day or two. You’ll get the basics under your belt, courtesy of the local pros. After that, you can take your newly gained knowledge and go solo. The next big question on your pre-trip list is “what species will I be targeting?” The answer (or answers) will dictate what gear you will be purchasing and/or bringing along. This seems fairly obvious. But you definitely don’t want to be that guy who brings a 5wt setup to hunt for bonefish in the Caribbean. Having the right gear to fish for a particular species is critical. But how do you know what outfit will be the most appropriate for what you are targeting? Reading online forums, reviews and articles is an option. Watching YouTube videos is another. But in my opinion, the best way to attack this area of research is by talking to the experts, the anglers who have firsthand, personalized knowledge of the species you will be fishing for. 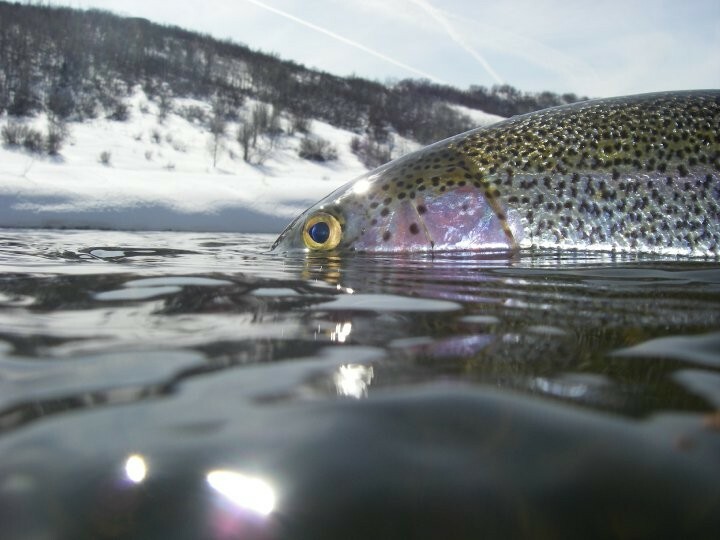 Given their diverse and extensive experience fishing for a multitude of species throughout the world, the crew at Vail Valley Anglers is a wealth of knowledge. Whether you are fishing for steelhead in British Columbia, tiger muskie in northern Wisconsin, giant trevally in Cosmoledo or tarpon in south Florida, the staff at VVA knows exactly what setup you will need for your target species. Beyond helping you select the correct rod and reel, they will recommend the appropriate flies and tackle. Their intimate knowledge will help improve your chances of landing the fish of your dreams on your next destination fishing trip. Again, having the proper gear and tackle is a major part of the battle. And when you’re spending precious vacation time and a good chunk of money, you will want to be as adequately equipped as possible. At this point, you’ve nailed down the biggest questions about your fishing trip. DIY or lodge/resort style…check. Target species…check. Specific gear…check. Now, it’s time to study up on all the finer points, the smaller details. But be warned. These tend to add up quickly and more often than not, you will spend more time hashing out the particulars than you did figuring out the big questions. Given the sheer quantity of potential fishing vacations and the variables involved, it is impossible to discuss all of specific areas you will want to research before heading out. Below, I’ve arranged a list of pertinent, albeit rather broad, questions you may want to look into. -What are some specific techniques I’ll need to utilize to fish for my target species? -What mode of transportation will best suit my needs? -Where can I find the best accommodations for my budget? -What are the best lodging options with a close proximity to the areas I intend to fish? -Where can I hire a local guide? -What kind of weather should I expect and what is my backup plan if it turns foul? -Where does my target species typically feed? -What additional/specialized gear will I need for this area? -What kind of navigational skills are required to get from my accommodations to the fisheries? -Where is the local fly shop and what kind of gear/tackle do they stock? -Where are the best public access points to the fishery? -What type of permit, license or stamp do I need to fish here? -Where is the best local brewery? Restaurant? -What is the best time of day to fish for my target species? The list above my be a little overwhelming at first. But once you start doing a little research, a lot of the questions will be answered in tandem. And it not uncommon to stumble upon some literature that will answer most of the questions in one shot. Guidebooks (travel guides), for example, often provide comprehensive details on an entire area. You can then supplement your investigation with online forums and articles. Here are some noteworthy resources to aid in your fact-finding mission. -Online Forums: I’ve actually found forums to provide some of the most detailed information. But since anyone can post their input, a lot of the advice found there is subjective. Be sure to scrutinize the details and cross reference with other resources. Also, always note the posting date as conditions can change over time. Finding the most recent postings will be your best asset. -Library: If you want some tangible reading material to conduct your research, your local library is a tremendous resource. You can find catalogued magazines, books and articles. And most libraries now have websites where you can search for material from the comfort of your home, place a hold and then pick up the items at their front desk. Again, checking the edition and publication date is important. I would suggest utilizing material that is less than two years old. -Blogs: Vail Valley Anglers has an extensive archive of blogs on a variety of topics. To help streamline your search, our blog website is separated into seven major categories. And of those seven categories, more than half contain articles beneficial to researching destination fishing adventures. Click here to access our main blog page. Once you’ve done some (or a lot of) reading and have a solid foundation of information about your trip, you’ll probably have some specific questions you want answered. This is the perfect time to make some phone calls or talk to the experts in person. But before you do, consider writing your questions down on a piece of paper, leaving space below each for the answers. This will help keep your conversations to the point and allow you to reference the information later. Here’s a brief list of places and people you may want to contact. -Wildlife Department/Department of Natural Resources/Game and Fish Department: I’ve called dozens of these offices while researching for backpack fly fishing trips. Some have provided accurate and helpful information. Others, not so much. But it’s always a good practice, if even to just get the fishing regulations clear before your trip. -Local Fly Shop/Outfitter: In my experience, calling the local fly shop in the area you will be vacationing can go either way. I’ve had several give me in-depth details on fishing conditions including productive patterns and good access points. But I’ve also had calls that are mostly silent on the other end. My suggestion. Ask specific questions. Don’t just say, “what’s working?” Or, “where’s a good spot to fish?” Do some homework first. Then ask questions like, “I was looking at the map and saw that Thompson Rock hole looks fishy. Would starting there be a good idea?” People are usually more open to helping if you’ve shown a little effort first. -Vail Valley Anglers: As I mentioned earlier, the staff at VVA is well-traveled and well-versed. It’s always worth giving them a call or stopping in to ask a few questions. They will point you in the right direction. If you’ve been thinking about getting a fishing trip locked in, do it. I try and take several each year. And I can honestly say that they have provided some of the best experiences in my life. Traveling to a new area and fishing for new species may be challenging, but it is more than worth it. No matter how much planning and research you do beforehand, there will always be a level of uncertainty and a learning curve. But that only adds to the adventure, as a major part of the undertaking is getting out of your comfort zone and exploring the unknown. And finally, hire a guide. Even if it pushes your budget to the limit. Their localized knowledge will set you up for success and provide you insights that all the preparation in the world fails to supply. Previous post How do you Become a Fly Fishing Guide in Colorado?